Michael D. Higgins has been re-elected as the president of Ireland in the country's 2018 presidential election, announced Barry Ryan, Returning Officer of Presidential Election and Referendum Office in Dublin on Saturday night. The support rate that Higgins received from the voters in Friday's election stood at 55.8 percent, far ahead of those for five other presidential candidates, according to the election results announced by the returning officer. Peter Casey, a businessman, received 23.25 percent of the votes in his favour, almost 33 percentage points lower than that bagged by Higgins, followed by Sean Gallagher, a second-time runner for the presidential election (6.41 percent); Liadh Ni Riada, a Sinn Fein candidate (6.37 percent); Senator Joan Freeman (5.96 percent); and Gavin Duffy, a businessman (2.18 percent). The results announced Saturday were basically in line with the public expectations. 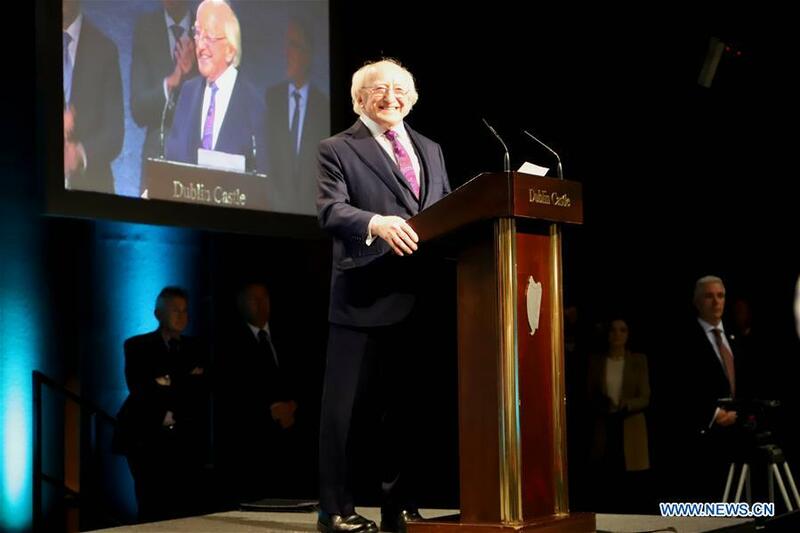 Both opinion polls conducted prior to the election and an exit poll published shortly after the conclusion of Friday's election revealed that Higgins would win his second term as the Irish president. Higgin's decision to seek his second term had also received the support from three major political parties in the country, namely the ruling party Fine Gael, Finna Fail, the second largest party in Ireland, and Labor Party. In Ireland, a newly elected president will be sworn in on the day following the expiry of the term of office of the preceding president. Higgins was sworn in as Irish president on Nov. 11, 2011. He is the ninth Irish president and also the second president in Ireland, who has been re-elected. According to Irish laws, the president can not serve more than two terms and each term lasts for seven years. During the 2018 presidential campaigns, some candidates had challenged Higgins by saying that he might be too old to fulfil his duty. But Higgins said that one should not be judged on ages but on cognitive ability. He said he is perfectly fit and has quitted smoking, drinking and has hired a Yoga teacher. ​Michael D. Higgins has been re-elected as the president of Ireland in the country's 2018 presidential election, announced Barry Ryan, Returning Officer of Presidential Election and Referendum Office in Dublin on Saturday night.